There’s no question we’re elbow-deep in digital, with a swell that’s no doubt on the rise. For businesses and marketers, this seismic shift has changed the way we do everything, from engaging with new customers to communicating with clients to pulling folks deeper into our brand experiences. In short, it’s digital, digital, digital with a side of digital, and as brands and businesses, we’ve more or less fallen in line. Until we didn’t. Or, at least, until we started to push back a little bit. Then a lot more. More on that in a minute. Because they’re getting so many emails, your customers don’t care as much when a new note hits their inbox. The average lifespan on an email is about two seconds, versus 17 days for a mail piece. The end result? Three in four recall seeing a direct mail piece, and four in five say they act on it immediately. This, together, drives an average 4.4% response rate, compared to 0.12% for email. The big question, then: why the enhanced performance of paper over digital? Some point to the warm and fuzzies mail delivers that email, simply, can’t, while others attribute these clear-cut lifts to the enhanced targeting opportunities. Regardless of the drivers, these boosts can’t be denied, and that’s forcing more and more brands and marketers to shift their mindset and their dollars and get back to print. Sure, there might be a promo code or other high-value offer tucked away in one of the 161 emails you sent and received today. Like we mentioned before though, unless you already have an established relationship with the recipeint of those emails, you probably won’t spot it. Not so with print. Open a promotional calendar or planner and — BAM! You know exactly what it is, exactly what to do with it and, instantly, can see the massive value it represents. And, if it’s branded by a company or individual, then you can’t help but immediately make a positive connection. It’s a win/win/win — you get something useful without working hard, while solidifying a personal or business connection. Check, check, check. Let’s stick with our paper calendar example for a minute. Your business sends a custom calendar, your customers and prospects receive it and a connection is made. But it doesn’t end there. 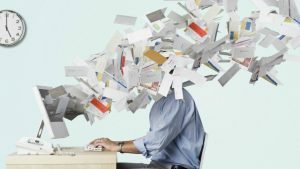 Unlike an email that’s easy to delete (on purpose or by accident), that calendar is getting hung up on a bulletin board, stuck to a fridge or displayed desk-side — in other words, it’s there, in plain sight, getting noticed daily. No doubt that constant attention drives added consideration — 70% of promotional calendar recipients say they plan to do business with the company that sent the piece. And that email? More like, “what email?” An errant swipe sent that thing straight to the trash can. Even if your client wanted it, who has time to wade through tens of thousands of emails, or spend half the day guessing at a keyword or subject line in an effort to unearth it? Arguably the best benefit? People just love paper and, overwhelmingly, prefer the experience to going 100% digital. Appointment book, planner and decorative calendar sales continue to increase year-over-year, driven heavily by personalization opportunities. And driving that personalization? Businesses like YOURS. “A bright spot in the industry,” writes The New York Times, “remains promotional calendars, like those distributed by real estate agents, medical professionals, car repair shops and other businesses,” which have increased or stayed consistent in recent years. And it’s not just calendars and planners. A recent Pew survey found most people still prefer reading and taking notes on paper. Eighty-two percent of calendar recipients say they like receiving them and many report making better decisions when they write activities down. With less distractions compared to digital calendars and platforms, it’s easier to stay focused, prioritized and achieve goals — really, what more could you or your customers ask for? The takeaway? 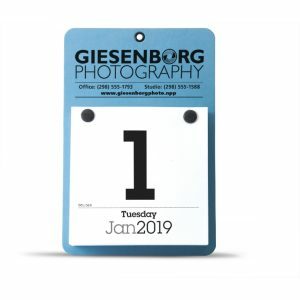 Whether it’s a promotional calendar or planner or some other high-value printed piece, your customers 1) want it 2) get more use out of it, and 3) will notice it. We can’t say the same about email, text and the endless stream of digital pings businesses are sending into the universe daily. Ultimately, the choice is yours. Now excuse us — we’re off to pencil in that next direct mail campaign and can’t wait to work with you on your next project! In the meantime, browse our calendar selection to get some ideas of where to start.